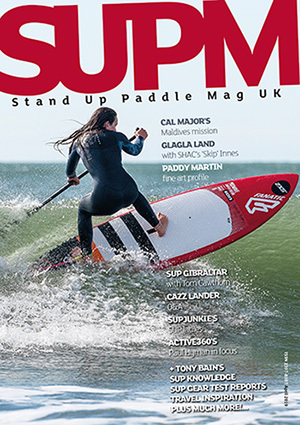 Paddling at night isn’t a new thing and there have been a number of products emerging to make SUP in the dark easier – one of which is Torch Paddles’ offering. Coming supplied as a standard carbon shaft/plastic blade sweeper, the magic happens internally as a group of embedded blade LED lights connect to a battery operated, waterproof electrical system. Simply push the switch (after inserting eight batteries) and hey presto, instant light. 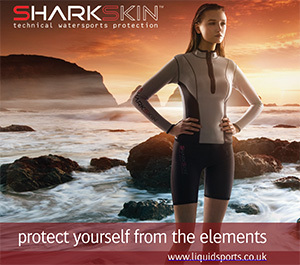 With LEDs facing forwards, only the water in front of the blade is illuminated – without any nasty glare shining back at the paddler causing night blindness. The strong and ding resistant blade has grooves chiselled to reduce the risk of damaging the LEDs. The whole product is super easy to use and looks great. Without batteries, the Torch Paddle is pretty lightweight. It’s worth keeping in mind that adding power does increase this a little. Once up and riding, however, the extra weight is forgotten and you can focus on the job in hand. Coming in two sizes (78” and 72”), you’ll need to decide which suits you best as cutting the shaft down to your optimum isn’t possible – this is where the batteries fit after all. 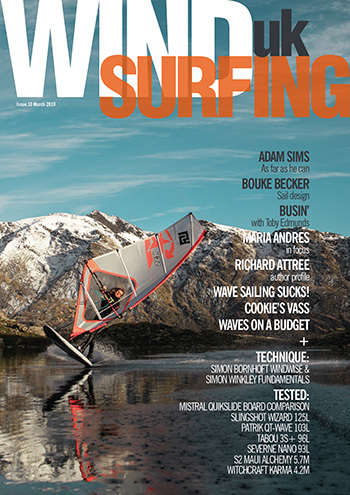 A Torch Paddle shouldn’t therefore be seen as your go to sweeper; it’s a tool for a specific job – paddling at night. Powering along, it’s a unique experience to gaze down at the brine and see it lit up around your blade. The LEDs are super bright and, even when light is at its minimum, you can see the seabed in shallow water. 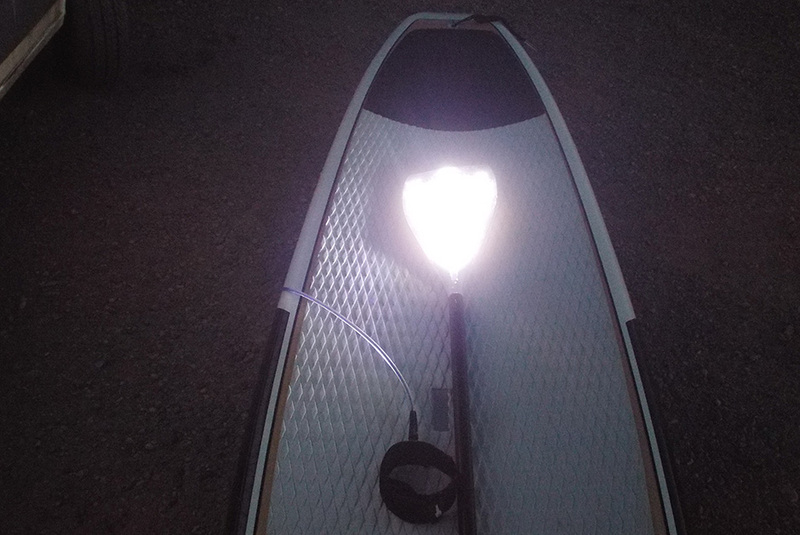 The power of the LEDs is such that it also illuminates the underside of your board during the catch part of the stroke – and the darker it gets, the more the Torch Paddle works. During our testing we had a number of onlookers from the beach who were a trifle confused as we emerged out of the darkness. Understandably they weren’t sure what was happening until we touched down. This in itself is a priceless reaction and worth dabbling in a bit of night paddling for! 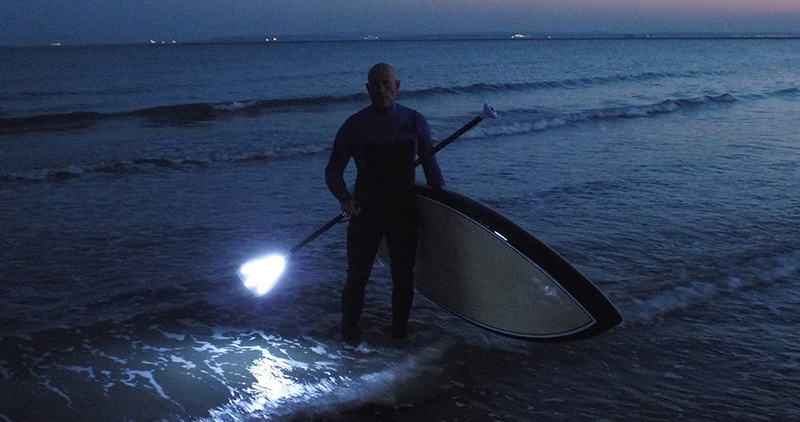 A Torch Paddle would also suit SUP fishing types who like to cast a line at night on calm water. Torch Paddles offers a unique product that allows SUP at night. While we wouldn’t recommend massive open ocean excursions using one, it’s a perfectly applicable product for exploring your local put in after the sun sets. For us it’s a flat water tool, great for sweeping round nooks and crannies in the half light. Torch Paddles’ sweeper will give you a whole new perspective on the world of SUP.